Image is everything when it comes to launching your new business. Even if you are one of the best in your field you will still potentially lose new customers if they see that you have a home office in the suburbs rather than a CBD location. having your own Melbourne CBD address does not need to cost you a fortune. You can get a first class address in a prime CBD 3000 location for as little as $49 per month with no additional bonds or deposits. Having a virtual office as opposed to a physical one gives you a lot of advantages. Firstly, there are no costly deposits and set up charges. With a physical office you will need to pay a bond, pay utility deposits and buy furniture and equipment while with a virtual adress you simply pay the annual fee. The other great thing about having a virtual address for your Melbourne business is that you can operate from wherever you want. If it is a nice day you could be working from a cafe at the beach or if you are away you could be working from a holiday house. So Why Choose Virtual Reception? We don't lock you in to long term contracts. If you sign up for a 3 month, 6 month or annual deal and for unforeseen circumstances you don't want to renew at the end of that period then you don't have to. Our Melbourne business centre in Collins Street also has state of the art meeting rooms that you can book and use when meeting with your customers. Where better to meet than at your mailing address. Any mail that is received at your address can be forwarded to you at whatever address you choose in the world (small fees may be involved). Alternatively we can hold the mail for you and you can collect it during business hours. We don't just have addresses in Melbourne. 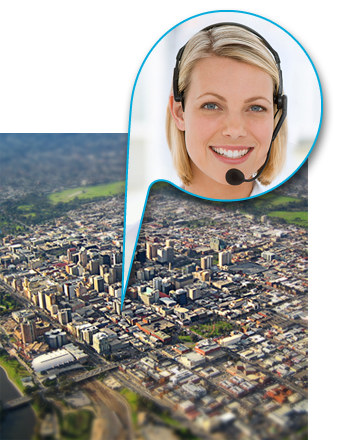 We can set you up with a virtual address in all major capital cities in Australia. You can have your own location in Sydney, Canberra, Perth, Brisbane and Adelaide as well. It really does make good financial and business sense. We offer a great service at a low price. It is far cheaper than setting up a physical office. A Melbourne 3000 suite number from virtualreception.com.au will give the right impression to your customers. They will see your business as an organisation of substance. Why not also think about signing up for a telephone answering service with Virtual Reception. Our world class service can provide you with a cloud answering service from as little as $20 per month. You can focus on building your business while we focus on answering your calls. When you sign up for the service we allocate you a local phone number. You can then divert your office phone to this number and our team of receptionists will answer those calls. Where are your receptionists based? All of our receptionists are based in Australia. They work remotely via the cloud and answer the calls via our state of the art cloud technology. No, we do not believe in locking our customers in. If you do decide to leave us for whatever reason you will be able to do so with just 1 months notice. We have more than 3,500 customers who stick with us because we provide great service. You can either sign up online by visiting our free trial page or you can contact one of our friendly sales staff on 1300 893 820 and they can handle it over the phone. The process is really straight forward.